Discussion in 'Exploring everything under the sun!!' started by osker75, December 24, 2004.
ah today was the best day ive had in a long time...well my yard is covered and so is everything else and i got to throw snow at my cousin and other stuff, so awesome!!!!!! 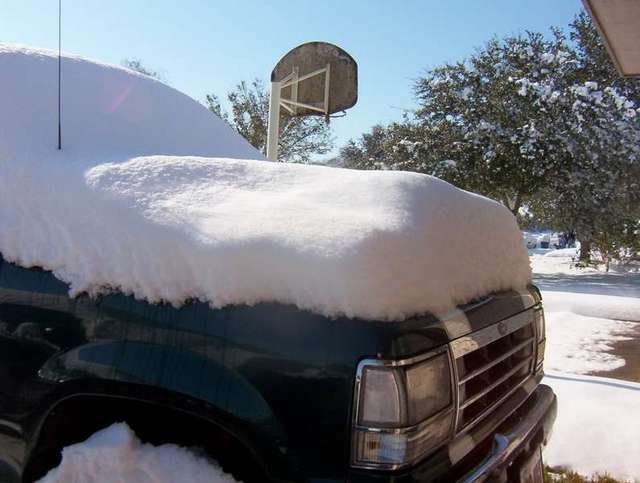 wtf... snow in Texas but none in Maryland.. We better get some serious snowfall this season..
HAHHAHAHAHA! we got lucky and didn't get any of that crap here. You guys can have all of it you want it makes nothing but for a mess and idiot drivers here. You call that snow?!!? BAH! That will work, the wind is out of the northwest. Man John you didnt get much snow. Wow, Kris, you did get a lot! Yeah I still have some in my back yard and front yard. I had 12" here at my house. 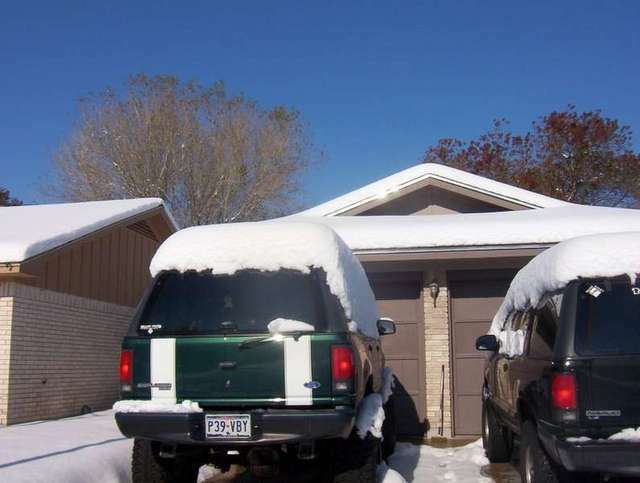 Kris, your green explorer hasnt seen that much snow since it was in Mississippi with me for a couple of years. We got about 2 days worth of snow here. Just enough to make for nasty roads after it melted. I figured the Green Explorer would have been use to the snow. But not down here.